I just returned from my annual spring trip to Montana. 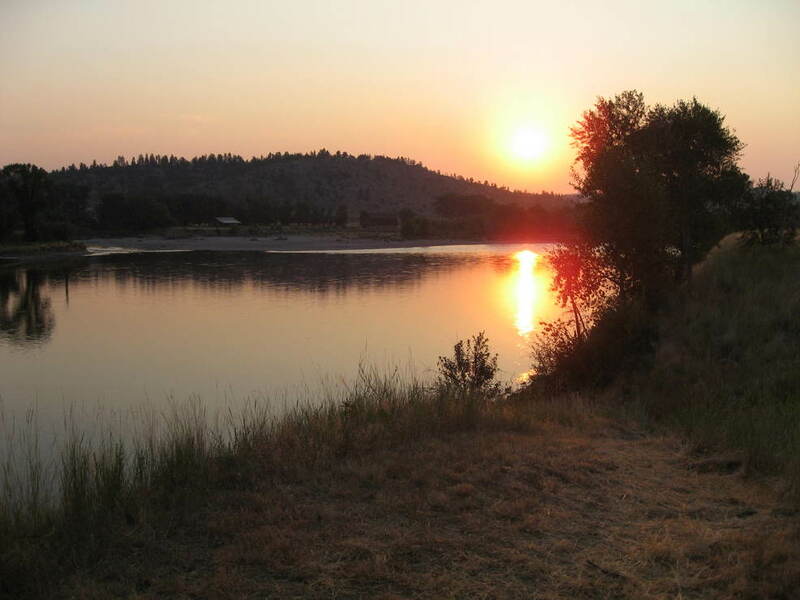 There are a of couple things you may or may not know about Montana. First, it is one of the most beautiful and peaceful places on earth. Second, Montana ranks second in the country in breweries per capita. Montana is God’s country. I always return to the Fatherland in April or May to visit family and to do some work on my property on the Yellowstone river. Upon my arrival, just like springs past, I was greeted by a western meadowlark (the state bird) perched on the top of a post marking the entrance to my property. He was singing the standard meadowlark song. It is a soothing melody that is slightly different from the meadowlarks down here in Colorado. They love the wide-open fields and must nest around the area this time of year. And as my father and I drove closer to the river, we spotted a large, mature bald eagle circling above the Yellowstone. It was certainly looking for a trout to snack on. We never saw it catch anything, and it eventually landed in a large cottonwood on the bank and watched my dad and I plant a couple new trees. There is always lot of entertaining wildlife around Walhalla. (The name of my property) In addition to the eagle and meadowlark, we also saw several hawks, pelicans (relatively new to the area), blue herons that nest in the island across from me, cranes, wild turkeys, and a herd of mule deer. (the deer do their best to kill the trees I plant) After a hard day’s work and just before the sun went down, dad and I grilled up two nice New York strip steaks and enjoyed a couple of Paulaners and a mixer of Big Sky Brewing Co. (Missoula) beers. I can’t think of a better way to watch a Montana sunset. We later settled in around a fire and had a few more cool ones and some single malt Scotch whisky before camping out over night. 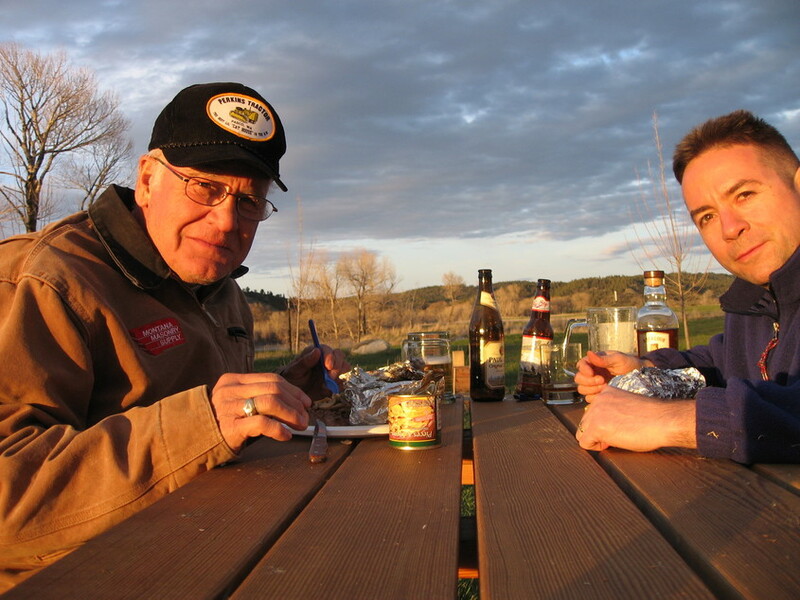 It is tough to put in words, but it doesn’t get much better than that – sharing some time with your father with some of the world’s best beers in such a beautiful setting. Just catching up and watching the river flow by. After three days of work at Walhalla, I finally made it into Billings for a Saturday afternoon/night out. I mentioned that Montana ranks second in the country for breweries per capita. The state has 27 breweries, or one for every 35,800 people, which is pretty impressive. The only problem I can think of is that it would be difficult for an enthusiast to visit them all without quit a bit of time. (though I recommend it if you have time) It is a state the size of the unified Germany, but with 1/80th the population. So it is a sparsely populated state, but quite large. For example, if you wanted to visit the Beaver Creek Brewery in Wibaux, and then hit the Lang Creek Brewery in Marion, you’d have to drive 730 miles. Anyway, back to my Saturday. My first stop was at Carter’s Brewing on Montana Avenue. Montana law has a provision that allows for brewery taprooms – and Carter’s has one. (you’ll find them at almost every brewery) These rooms at the brewery are allowed to operate without an expensive Montana liquor license, but there are limitations. The taprooms have limited hours (they must close by 8 pm), they cannot sell other spirits, and there is a three pint limit. But they still offer a great way to enjoy some craft beers in the building they were brewed. 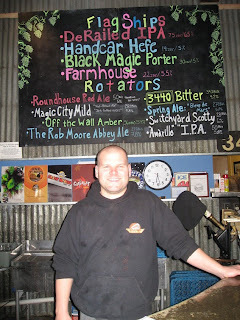 Mike at Carter’s does an excellent job, both brewing, and serving his beers in his taproom after a hard day’s work. It is a small brewery, but the patrons have the privilege of speaking to the person that brewed the beer they are enjoying. And to ask questions if they have them. It is a great way to educate people about one’s product. 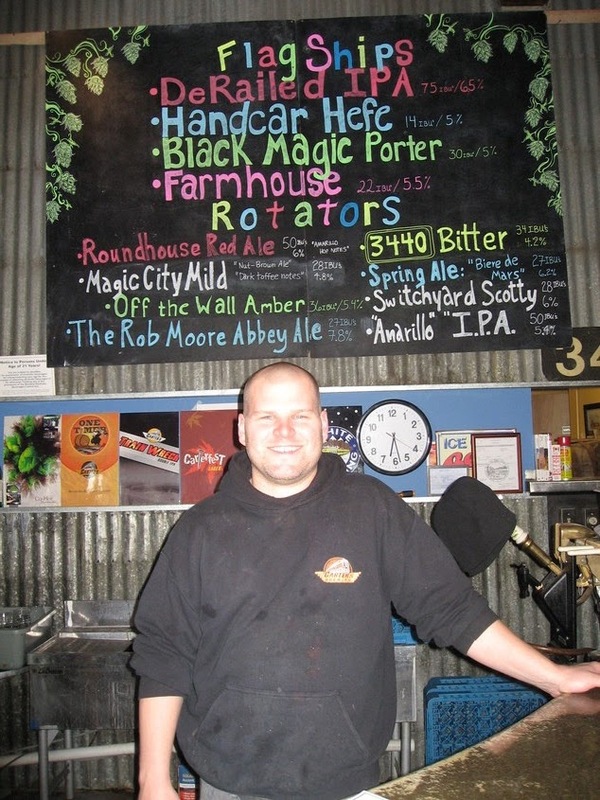 Mike had 12 beers on tap, which is quite impressive for such a small operation. I won’t list them all, but I’ve included a picture of his offerings. As you can see he proudly displays the IBU and alcohol content of his beers. It is always a treat when brewers do this. Carter’s has all of the staples, but they are becoming known for their specialty Belgian beers. 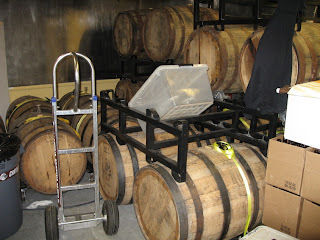 Mike does a lot of experimenting with wood and various wild yeast and bacteria. So if you like wood and funk with your beer, head to Carter’s. His Abbey Ale was delicious, and he also occasionally bottles a 750ml Saison that is a real treat. One final note about Carter’s, he is one few brewers to consistently offer a Mild. It is a great beer, albeit ramped up a bit to suit the American palate when compared to its counterparts across the pond. I only have one complaint - I wish he’d server the Magic City Mild out of his beer engine! This entry is a quick reminder that this week (May 11-17th) is American Craft Beer Week - a national celebration of craft beer and the great beer culture we have here in America. A number of breweries will be hosting special tastings, tours, meet-the-brewmaster events, and tapping specialty beers. Wednesday: I've volunteered to bring beer this week for our softball team. So after the game Team Fletch will be drinking Montana Mixer beers from Big Sky Brewing out of the bottle instead of PBR out of the can. Thursday: Along with some friends, I will be visiting the Golden City Brewery for some late afternoon pints in the beer garden. 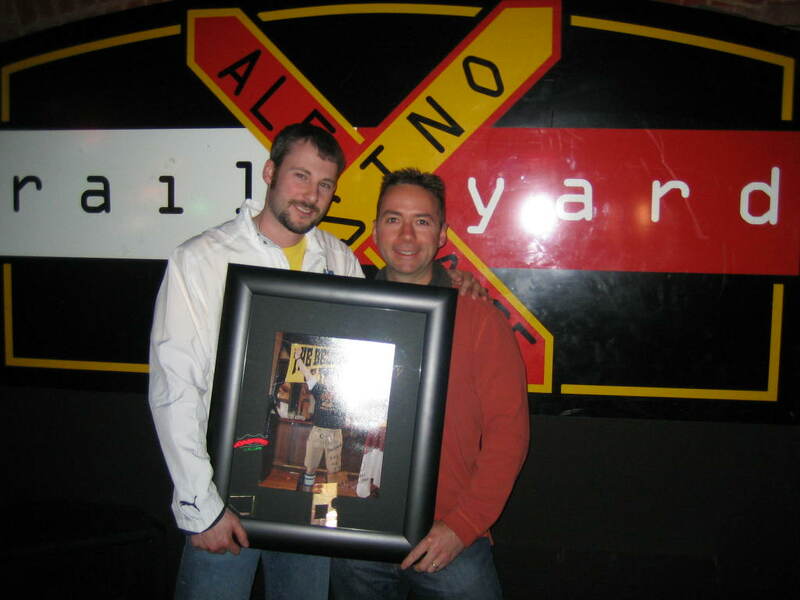 The Golden City Brewery is the "second largest brewery in Golden." The largest brewery in Golden is, of course, Coors (in the world for that matter), and the third largest brewery in Golden is in my basement. Friday: Where else, the Wynkoop! More information about Craft Beer Week can be found at http://americancraftbeerweek.org. Don't forget to support your local breweries... and have fun!